You have pending before you two science-based petitions for reconsideration of the 2009 Endangerment Finding for Greenhouse Gases, one filed by the Concerned Household Electricity Consumers Council, and one filed jointly by the Competitive Enterprise Institute and the Science and Environmental Policy Project. We the undersigned are individuals who have technical skills and knowledge relevant to climate science and the GHG Endangerment Finding. We each are convinced that the 2009 GHG Endangerment Finding is fundamentally flawed and that an honest, unbiased reconsideration is in order. If such a reconsideration is granted, each of us will assist in a new Endangerment Finding assessment that is carried out in a fashion that is legally consistent with the relevant statute and case law. We see this as a very urgent matter and therefore, request that you send your response to one of the signers who is also associated with a petitioner, SEPP. President, Environmental & Resources Technology, Inc. Following climate science closely since the 1970s. Retired Senior Analyst and manager, US Environmental Protection Agency, Washington, DC. Author, Environmentalism Gone Mad, Stairway Press, 2015. Ph.D., Economics, Massachusetts Institute of Technology, Cambridge, MA. BS, Physics, California Institute of Technology, Pasadena, CA. William F. Condon, Ph. D.
Retired VP-Engineering Analysis and Test Division, InDyne, Inc. Provided meteorological advice, data analyses, wind farm planning and WindPro modelling to National Power which had over 2,000 MW of projects in Australia and Hawaii. Principal Scientist, Air Improvement Resource, Inc.
Jerome C. Arnett, Jr., M.D. Author of numerous books regarding Climate Policy and the Poor. Research Director at the U.S. Department of Energy. Author of four books and over 100 published papers on the economics of climate change and related issues. Multiple general manager assignments including, GM of Engineering Department providing technical support to worldwide network of GE facilities. Lecturer, retired Clinical Instructor, Department of Emergency Medicine, Carl R Darnall Army Medical Center. Clinical Instructor Uniform Services University of the Health Sciences, Bethesda, Maryland. Policy advisor, American Council on Science and Health of New York City and Heartland Institute of Chicago. Member, Louisiana and Texas Bar; Medical Officer, Sheriff, Brown County, Texas. Geologist, environmentalist, author, and retired energy industry executive. Regional EPA Administrator’s Award for environmental excellence. Twice Chairman of the Audubon Nature Institute. Serves on the boards of the M. D. Anderson Cancer Center, EOG Resources, The Buffalo Bill Historical Center, and the Southwest Research Institute. Worked in the pharmaceutical industry on all phases of pre-clinical research. Member of the American Council on Science and Health Board of Scientific Advisors. Authored or co-authored over 50 papers including six “best paper” awards. Fellow of the American Statistical Association, American Association for the Advancement of Science. Adjunct professor of statistics at North Carolina State University, the University of Waterloo and the University of British Columbia where he co-directs thesis work. B.S., MES and a Ph.D., North Carolina State University. What made this hurricane season so active in the Atlantic? What a hurricane season! It started very early with Arlene in April but the real action held off until the last week of August when Hurricane Harvey flooded Texas and Louisiana.. Harvey was the first hurricane to make landfall in Texas since Ike in 2008 and Category 4 hurricane in Texas since Hurricane Carla in 1961. Irma, the 11th strongest Atlantic storm on record (using central pressure, the most reliable measure) had major impacts on Islands like Barbuda and St. Martin, the Virgin Islands, the Turks and Caicos and southern Bahamas. Then crossing northern Cuba it curled back into Florida. It was the first landfalling hurricane and major hurricane in Florida since Wilma in 2005. Jose too became a major hurricane, but never made landfall though it created large swells along the eastern seaboard and pounded southeastern New England, Cape Cod and the islands with tropical storm winds and coastal flooding as it stalled for days. Maria was the third major Hurricane, the 10th strongest Atlantic storm, crossed the northern Leeward Islands and plowed through Puerto Rico, doing catastrophic damage to the island. It then moved north into the Atlantic, close enough to pound the Atlantic coast with large swells from Florida to New Jersey. And then Hurricane Nate avoided another ‘Katrina moment for New Orleans but produced storm surge damage to southeast Louisiana, Mississippi, Alabama and the Florida Panhandle. Before the landfall of two major storms on the U.S. we had gone just short of 12 years without a major hurricane landfall, the longest such lull since the 1860s. The quiet period came after three big years. Isabel made landfall on the Mid Atlantic in 2003, Charley, Frances, Ivan and Jeanne in 2004 and Dennis, Katrina, Rita and Wilma in 2005 all made landfall on the mainland. Emily in 2005 was another major hurricane but turned west into Mexico. 2005 holds the record for 5 category 4 or greater and 4 category 5 impact storms. Some speculated this was the new norm for the Atlantic before nature gave us that 12-year break. So what causes long quiet spells and then big years like 2004 and 2005 and now 2017? Nothing is new in weather. Great Colonial hurricanes in the northeast with storm surges up to 20 feet occurred in 1635 and 1675. A Katrina like storm made landfall in Louisiana in 1722 with major flooding and damage in Louisiana. The Great Chesapeake storm in 1769 like Isabel in 2003 brought major flooding to North Carolina and Virginia. In the Caribbean, the Great Hurricane of 1780 killed an estimated 27,500 people while ravaging the islands of the eastern Caribbean with winds estimated to top 200 mph. It was one of three hurricanes that year with death tolls greater than 1000. 1893, had at least 10 hurricanes. Of those, 5 became major hurricanes. Two of the hurricanes caused over two thousand (2000) deaths in the United States; at the time, the season was the deadliest in U.S. history. 1886 came close with at least 10 hurricanes, 7 making landfall. 4 of the hurricanes were major hurricanes. The Galveston Hurricane in 1900 killed at least 8,000 people with some estimates as high as 12,000, making it the deadliest natural disaster in U.S. history. Ok, major hurricanes have occurred even during cold periods but is there a trend in the modern record? The Accumulated Cyclone Energy Index which takes into account the number, duration and strength of all tropical storms in a season. The ACE index is a wind energy index, defined as the sum of the squares of the maximum sustained surface wind speed (knots) measured every six hours for all named storms while they are at least tropical storm strength. The Accumulated Cyclone Energy Index for the Atlantic shows a cyclical behavior with no long term trend but with spikes in 1893, 1926, 1933,1950 then again in 1995, 2004 and 2005. 2017 ranks 8th now with still weeks to go this season. So what causes long breaks and then big years like 2004 and 2005 and now 2017? The North Atlantic like the Pacific undergoes multi-decadal changes in ocean temperature and pressure patterns. It has long been known, when the Atlantic is in what is called its’ warm mode, there are more storms. Since 1995, when the current warm Atlantic mode began, we have average 14.6 named storms per year, more than 5 more than the long-term 1851-2017 average. An important factor that affects whether hurricanes affect the United States is El Nino and La Nina. When El Ninos develop, more storms develop in the eastern and central Pacific threatening Mexico, Hawaii and sometimes in weakened forms Arizona and California. These storms enhance high-level winds that cross into the Atlantic. These winds produce shear that disrupts developing storms causing them to weaken or dissipate and/or turn harmlessly north into the North Atlantic. Storms can still develop near the coast where the water is warm like in the Gulf and near the Gulf Stream off the southeast coast. When La Ninas develop there are usually fewer storms in the eastern Pacific and less shear to disrupt the Atlantic storms. In warm Atlantic years, that means trouble as the storms can track the entre Basin with more time to turn into major hurricanes. Even the east coast is more vulnerable to a landfalling hurricane. We had 8 high impact east coast hurricanes from 1938 to 1960 and 9 from 1988 to 2012. The last important La Nina stretch was in 2010/11 to 2011/12. We avoided a major hurricane hit, though major hurricanes at sea made final landfall in the NYC metro – Irene (as a tropical storm) in 2011 and Sandy in 2012 (as a post tropical cyclone). They caused massive flooding (from rains with Irene in upstate NY and Vermont and from a storm surge with Sandy in New York City and New Jersey). We are still in the latest Atlantic warm period. This year, a spring attempt at an El Nino failed and La Nina like conditions developed. Had El Nino succeeded we may have had Harvey, which developed near the Texas coast and Nate which came out of the bath water in the western Caribbean but maybe Irma and Maria would have been weakened or deflected. But with La Nina conditions developing, no shear and warm Atlantic water we saw a return to big storms just as we saw in 2004 and 2005. It may not be over as in 2005, we had Wilma come out of the Caribbean in late October. At Weatherbell, Joe Bastardi led the team in the tropical outlook and correctly called for a big season. When the water in the Main Development Regions warmed further, Joe upped the ACE forecast and the team began alerting that come mid-August, big things would happen. So when we get a year like 2017 or back-to-back bad years like 2004 and 2005, we have to accept that is how the weather works. Permadroughts ended with record wet years for Texas and California this decade. The record nearly 12 year major hurricane ‘drought’ ended with 2017. Joe D’Aleo is currently a Senior Co-chief Meteorologist with WeatherBELL Analytics. Joe is a CCM, Fellow of the AMS, former chair of the AMS Committee on Weather Analysis and Forecasting. He was a college professor of Meteorology/Climatology, the co founder and first Director of Meteorology at The Weather Channel and Chief Meteorologist with 3 companies the last 30 years. He is the Executive Director of Icecap.us since 2007. Weather.com published an article noting that the two Cat 4 hurricane strikes this year (Harvey and Irma) is a new record. Here’s a nice graphic they used showing both storms at landfall. Left: Hurricane Harvey makes landfall near Rockport, Texas, on Aug. 25, 2017 | Right: Hurricane Irma makes its first landfall at Cudjoe Key, Florida, on Sept. 10, 2017 (graphic: Weather.com). But the statistics of rare events (like hurricanes) are not very well behaved. Let’s look at this new record, and compared it to the 11+year period of no major hurricane strikes that ended when Harvey struck Texas. By my count, we have had 24 Cat 4 or Cat 5 landfalls in the U.S. between 1851 and 2016. This gives a probability (prior to Harvey and Irma) of one Cat4+ strike every 7 years. It also leads to an average return period of two Cat4+ strikes of about 50 years (maybe one of you statisticians out there can correct me if I’m wrong). In 2015, a NASA study was published which calculated how unlikely the (then) 9-year stretch with no major hurricane landfalls was. They came up with a 177 year return period for such an event. I used that statistic to estimate what eventually happened, which was 11 years with no major hurricane strikes. I get a return period of 560 years! Now, which seems more unusual and potentially due to climate change: something that should happen only once every 50 years, or every 560 years? Maybe global warming causes fewer landfalling major hurricanes. The 2017 North Atlantic hurricane season has the climate change alarmists out in full force. 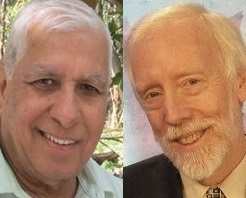 These activists claim that man-made global warming has made the Gulf of Mexico warmer and the air more humid, thereby making tropical cyclones — called hurricanes in the North Atlantic — more frequent and more intense. They demand we reduce our carbon dioxide (CO2) emissions to lessen the “increasing” hurricane threat. There’s also an expectation that as the sea surface temperatures increase, that the intensity of very intense hurricanes will become larger. Dr. Michael Mann of Pennsylvania State University has made similar claims, asserting that the potential intensity of hurricanes and other large storms has risen as a result of climate change. But basic observations and meteorological science do not support their claims. [M]ajor hurricanes don’t really care whether the Gulf [of Mexico] is above average or below average in temperature. [T]here is a decreasing trend in the tropical cyclone number over the North Indian Ocean in recent years, though there is an increasing trend in the sea surface temperature. 1. The rotational tendency, or vorticity, already present in the atmosphere. Low vorticity lessens the likelihood of a hurricane forming. 2. Pressure gradients determined by latitude. Low pressure gradients lessen the likelihood of a hurricane forming. Within 4 to 5 degrees of the equator, pressure gradients are too weak for hurricanes to form. 3. Wind shear, the changes in wind speed and direction that occur between layers in the atmosphere. Low wind shear allows the whole system in a growing hurricane, from sea level up to around 15,000 meters, to turn together. This helps to keep the storm intact and strengthening. High wind shear essentially cuts the top off a cyclone before it can become a hurricane. 4. Ocean thermal energy as indicated by temperatures to a depth of 60 meters. Temperatures in the Gulf and other hurricane formation regions are always above the critical value of 26.7 degrees Celsius necessary to spawn hurricanes at this time of year. Therefore, like trying to put more water into a full bucket, higher ocean temperatures have relatively little effect on the frequency or intensity of hurricanes. 5. The rate of change of temperature with altitude. High rates of change encourage hurricane formation. 6. Relative humidity in the mid-troposphere, a layer centered at about 5 km above the surface. Of these six factors, only wind shear has been exceptional this year in the Gulf of Mexico. It was very low wind shear, not temperature, vorticity, humidity, or anything else, that is therefore the main cause of the high activity in this year’s hurricane season. And wind shear is a natural phenomenon that varies across the globe and is determined by a host of meteorological factors, none of which are under human control. The global warming/hurricane connection completely falls apart when one looks at the observational data. For example, during the 1945-1977 cooling period, when ocean temperatures worldwide were undoubtedly lower than today, we witnessed stronger hurricanes than now. Hurricane Camille, the second-most intense tropical cyclone to strike the U.S. on record, slammed into Mississippi as a category 5 (the strongest) hurricane on August 18, 1969, producing a storm surge of 7.3 meters. Hurricane Flora struck in September 1963, killing over 6,000 people. This was the highest number of fatalities for a tropical cyclone in the Atlantic Basin since the 1900 Galveston Hurricane, which may have claimed as many as 12,000 lives. 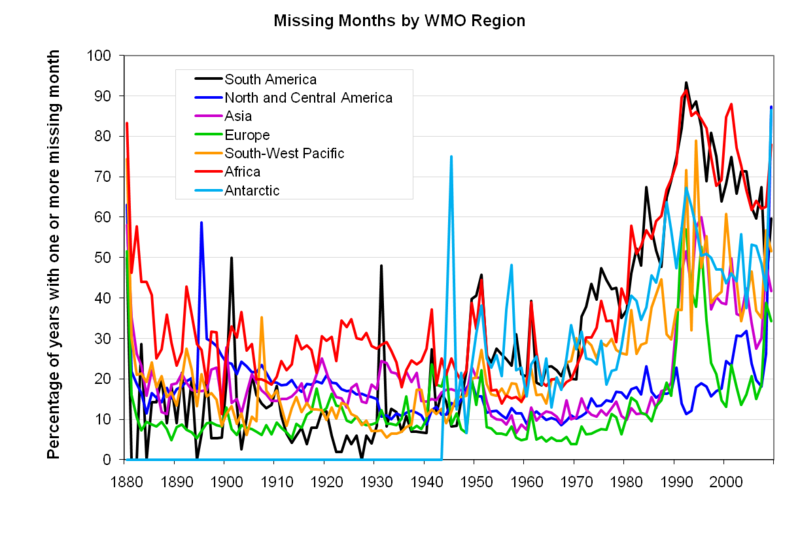 The strongest tropical cyclone on record worldwide was not recent, either. It was the 2,200 km-wide “Super Typhoon” Tip which made landfall in southern Japan on October 19, 1979, immediately following the global cooling period (by contrast, Irma was about 680 km in diameter; Harvey about 400 km). The biggest storm surges worldwide were 14.5 meters in Australia in 1899 and 13.6 meters in Bangladesh in 1876. During the warmer 21st century, no tropical cyclone was strong enough to generate a surge greater than 10 meters. The fact that hurricanes and other tropical cyclones are not caused by — or even significantly enhanced by — man does not give us an excuse to do nothing about them, however. Florida and Texas need to engage in “vertical evacuation” by building multistory storm shelters that allow residents to take refuge above the storm surge, instead of today’s ineffective “horizontal evacuation,” forcing people to flee the waves on clogged highways. The U.S. should look to India’s storm shelter network for an example of success in this regard — no one need walk more than one kilometer anywhere on India’s Bay of Bengal coast (where the vast majority of India’s tropical cyclones hit) to get to a shelter. If India can afford it, why not the U.S.? It is time to develop improved early warning systems and more storm shelters. Concerning ourselves with CO2 emission reduction is a wasteful distraction and will have no impact on future hurricane strength or frequency. A Washington Post-ABC News poll released on Thursday shows that 55% of Americans think that the severity of recent hurricanes is most likely “the result of global climate change.” That people believe this is not surprising—we are told over and over: man-made global warming has made the Gulf of Mexico warmer and the air more humid thereby making tropical cyclones—called hurricanes in the North Atlantic—more frequent and more intense. ‘We must reduce our carbon dioxide (CO2) emissions to lessen the increasing hurricane threat,’ they claim. So, if not temperature, what does make one hurricane season worse than another? The rotational tendency, or vorticity, already present in the atmosphere. Pressure gradients determined by latitude. Wind shear, the changes in wind speed and direction that occur between layers in the atmosphere. The rate of change of temperature with altitude. Relative humidity in the mid-troposphere. Of these six factors, only wind shear has been exceptional this year in the Gulf of Mexico. It was very low wind shear, not temperature, vorticity, humidity or anything else, that is therefore the main cause of the high activity in this year’s hurricane season. And wind shear is a natural phenomenon that varies across the globe and is determined by a host of meteorological factors, none of which are under human control. The global warming/hurricane connection completely falls apart when one looks at the observational data. For example, it was during the 1945-77 global cooling period, when ocean temperatures worldwide were undoubtedly lower than today, that we witnessed stronger hurricanes than now. For example, Hurricane Camille, the second-most intense tropical cyclone to strike the U.S. on record, slammed into Mississippi as a category 5 (the strongest) hurricane on August 18, 1969, producing a storm surge of 7.3 meters. The most powerful tropical cyclone on record worldwide was not recent either. Immediately following the cooling period, the 2,200 km-wide ‘Super Typhoon’ Tip, the strongest ever, made landfall in southern Japan on October 19, 1979 (Irma was 680 km across; Harvey 400 km). The biggest storm surges worldwide were 14.5 meters in Australia in 1899 and 13.6 meters in Bangladesh in 1876. During the warmer 20th and 21st centuries, no tropical cyclone was strong enough to generate a surge greater than 10 meters. The fact that hurricanes and other tropical cyclones are not caused by, or even significantly enhanced by man does not give us an excuse to do nothing about them, however. Florida and Texas need to engage in ‘vertical evacuation’ by building multistory storm shelters that allow residents to take refuge above the storm surge, instead of today’s ineffective ‘horizontal evacuation,’ forcing people to flee the waves on clogged highways. The U.S. should look to India’s storm shelter network for an example of success in this regard—no one need walk more than one kilometer anywhere on India’s coast to get to a shelter. If India can afford it, why not the U.S.? It is time to develop improved early-warning systems and more storm shelters. Concerning ourselves with CO2 emission reduction is a wasteful distraction and will have no impact on future hurricane strength or frequency. Dr. Madhav Khandekar is a former Research Scientist with Environment Canada. He was an Expert Reviewer for the 2007 climate change documents prepared by the UN climate body, the IPCC. Tom Harris is Executive Director of the International Climate Science Coalition. If human emissions made Irma worse, did they also bring the 12-year lull in Cat 3-5 hurricanes? Hurricanes Harvey and Irma brought out the best in us. Millions of Americans are giving money, toil and sweat to help victims rebuild. Unfortunately, the storms also highlighted some people’s baser instincts. Some advanced ideological commitments to campaigns to “keep fossil fuels in the ground,” raise energy costs and reduce living standards. Others hyped Harvey’s record rainfalls, claiming carbon dioxide emissions made the Gulf of Mexico warmer and its air more moisture-laden. A few were just obnoxious. These storms are a product of “this administration’s climate denial, racism and callousness,”350.org activist Jenny Marienau fumed. “How many once-in-a-lifetime storms will it take, until everyone admits manmade climate change is real? !” Daily Show comedian Trevor Noah fulminated. Perhaps these newly minted “experts” received mail-order degrees in climatology or meteorology – or recently stayed at a Holiday Inn Express. They should at least take a few minutes to review hurricane and climate history, and talk to real climatologists and meteorologists, before launching tirades. My geology, ecology and other studies taught me that climate change has been “real” throughout history. I’ve learned to be humble, respectful and vigilant in the face of nature’s power; to recognize that climate shifts can range from beneficial or benign to harmful or unbelievably destructive; and to understand that the sun and other powerful natural forces totally dwarf whatever meager powers humans might muster to alter or control Earth’s climate and weather. Harvey marked the end of a record 12-year absence of Category 4-5 hurricanes hitting the US mainland. The previous 8-year record was set 1860-1869. NOAA’s Hurricane Research Division counts ten Category 4-5 monsters 1920-1969 (50 years) hitting the USA, but only three 1970-2016 (46 years). This year has brought two more, and the hurricane season isn’t over yet. If Harvey and Irma were caused or intensified by human greenhouse gas emissions, shouldn’t those gases be credited for the 12-year lull and half-century decline in Cat 4-5 landfalling storms? For Irma’s changed intensity and route as it reached Florida and headed north? Certainly not. If fossil fuels caused Harvey’s rainfall, were previous deluges like Hurricane Easy (45 inches in Florida, 1950), Tropical Cyclone Amelia (48 inches in Texas, 1978) and Tropical Storm Claudette (a record 43 inches in 24 hours on Alvin, Texas, 1979) the result of lower fossil fuel use back then? Highly unlikely. Indeed, the National Oceanic and Atmospheric Administration (NOAA) concludes that neither the frequency of North Atlantic tropical storms and hurricanes, nor their energy level, has displayed any trend since 1950. Despite slightly warmer ocean waters in some regions, global Accumulated Cyclone Energy (ACE) levels in recent years have been at their lowest levels since the late 1970s. When the Pacific Decadal Oscillation is in its cyclical positive phase, the tropics, west coast of North America and our Earth overall get warmer; cooling occurs during the PDO’s negative phase. The Atlantic Multi-decadal Oscillation (AMO) also cycles between warm and cool phases, affecting regional and planetary temperatures, as well as hurricane formation, strength and duration. Any link between hurricanes and human carbon dioxide/greenhouse gas emissions is nebulous, tenuous and very poorly understood at this time. Asserted links to recent hurricanes are ideological illusions. Hurricane Irma remained symmetrical and grew in size and intensity into the massive Category 5 hurricane seen in satellite photos, because it remained over warm water for a week as it crossed the Atlantic and Caribbean – and was not pulled apart by mid-altitude wind sheer – weather experts explained. Its encounter with Cuba’s coastal lands and mountains finally reduced its wind speeds and disrupted its symmetry. Over Florida, strong north-to-south winds high in the atmosphere clipped the top off the hurricane. That further disturbed Irma’s shape and intensity, and steered the storm westward as it traveled north up the Citrus State. As is usually the case with storms moving north over Florida and parallel to its west coast, Irma’s front wall began to pull in both drier air and upwelling water. The bigger the storm the more it does this, WeatherBELL Analytics chief forecaster Joe Bastardi explained. All these factor combined to slow whirling winds in the storm’s eyewall still more. It began wobbling on its axis, and Irma gradually became a disorganized tropical storm after it pounded Fort Meyers. If there was a “human factor” in Harvey and Irma, climate alarmists need to explain exactly where it was, how big it was and what role it played. They must present hard evidence to show that fossil fuels and carbon dioxide emissions played a significant role amid, and compared to, the hundreds of natural forces involved in these storms. Their loud rhetoric only highlights their failure and inability to do so. In fact, the Atlantic, Caribbean and Gulf of Mexico are warm enough every summer to produce major hurricanes, says climatologist Dr. Roy Spencer. But you also need other conditions, whose origins and mechanisms are still unknown: pre-existing cyclonic circulation off the African coast, upper atmospheric calm, sea surface temperatures that change on a cyclical basis in various regions, to name just a few. The combination of all these factors – plus weather fronts and land masses along the way – determines whether a hurricane arises, how strong it gets, how long it lasts, and what track it follows. Damage from hurricanes has certainly increased over the years. But that is because far more people now live and work in far more expensive communities along America’s Atlantic and Gulf coasts. Since 1920, Greater Houston has grown from 138,000 people to 5.7 million; Miami from 43,000 to 6.1 million; Tampa from 50,000 to 3 million. Meanwhile, death tolls have declined – at least in countries where fossil fuels, highways and modern technologies enable us to construct stronger buildings, track storms, warn, evacuate and rescue people, and bring in water, food, clothing, and materials to rebuild power lines and buildings in stricken areas. Over 6,000 people perished in the 1900 Category 4 Galveston Hurricane, 2,500 in the 1928 Okeechobee, Florida Category 4 hurricane and storm surge. More than 1,800 died in Katrina (Category 3), due largely to corrupt and incompetent local and state governments. Thanks to better preparation, warning and evacuation, overall tragic deaths were kept to 82 from Harvey and 93 from Irma. Incredibly, despite the vicious 185-mph winds that reduced most of Anguilla and Barbuda to rubble, Irma killed only one person on those Caribbean islands. Even in recent years, cyclones and hurricanes have brought far more death and destruction to poor nations where modern energy and technology are still limited or nonexistent: 400,000 dead in Bangladesh in 1970, 138,000 in Myanmar in 2008, and 19,000 from Hurricane Mitch in Central America in 1998. It may be fashionable to focus on alleged “social costs of carbon” and asserted fossil fuel contributions to extreme weather events. But it is essential that we never forget the enormous benefits these fuels bring. Our Earth is a complex, wondrous, resilient planet. But it can unleash incredible fury. Wealthy, technologically advanced nations fueled by oil, natural gas, coal and nuclear power are far better able to avoid, survive and recover from those disasters. We must count our blessings, but always be prepared. Paul Driessen is senior policy analyst for the Committee For A Constructive Tomorrow (www.CFACT.org), and author of Eco-Imperialism: Green power – Black death and other books on the environment. Is 2017 Really the First Year since 1850 with Two Category-4 U.S. Landfall Hurricanes? Keeping up the (false) drumbeat that manmade global warming is causing more frequent and stronger hurricanes, lots of media outlets, following the spectacular Hurricanes Harvey and Irma, have proclaimed 2017 the first time in the 166 years of records in which two Category-4 hurricanes made landfall on the mainland United States in the same year. Among them were USA Today, PBS, Forbes, Fortune, Slate, The Daily Beast, Business Insider, New York Magazine, Townhall.com, and even Scientific American. Harvey and Irma both made a U.S. landfall as Category 4 hurricanes. Two Atlantic hurricanes of this intensity have never made landfall during the same year in the U.S.
… The winds for a Category 4 hurricane on the Saffir-Simpson Hurricane Wind Scale range from 130 mph to 156 mph. Winds of that strength are capable of causing catastrophic damage. Weather.com repeated the claim 10 days later. And the claim’s true—sort of. But it’s really false, because it compares apples and oranges. So under the modified SSHWS scale, both Harvey and Irma were Cat-4 hurricanes at landfall, with maximum sustained winds of 130 mph. Under the pre-modified scale, both were Cat-3. The answer: Yes, in 10 different years: 1852, 1855, 1879, 1893, 1909 (three storms), 1926, 1933, 1985, 2004, and 2005 (four storms). In short, it’s false that, applying the same (pre-modification) SSHWS scale, 2017 was the first year on record in which 2 or more hurricanes of the same category as Harvey and Irma made landfall on the mainland U.S.
Just released: A peer reviewed Climate Science Research Report has proven that it is all but certain that EPA’s basic claim that CO2 is a pollutant is totally false. All research was done pro bono. The objective of this research was to test the hypothesis that Global Average Surface Temperature (GAST) data are sufficiently credible estimates of global average temperatures such that they can be relied upon for climate modeling and policy analysis purposes. The relevance of this research is that the validity of EPA’s CO2 Endangerment Finding requires GAST data to be a valid representation of reality. In this research report past changes in the previously reported historical data are quantified. It was found that each new version of GAST has nearly always exhibited a steeper warming linear trend over its entire history. And, it was nearly always accomplished by each entity systematically removing the previously existing cyclical temperature pattern. This was true for all three entities providing GAST data measurement, NOAA, NASA and Hadley CRU. As a result, this research sought to validate the current estimates of GAST using the best available relevant data. The conclusive findings were that the three GAST data sets are not a valid representation of reality. In fact, the magnitude of their historical data adjustments which removed their cyclical temperature patterns are totally inconsistent with published and credible U.S. and other temperature data. Thus, despite current claims of record setting warming, it is impossible to conclude from the NOAA, NASA and Hadley CRU GAST data sets that recent years have been the warmest ever. Finally, since GAST data set validity is a necessary condition for EPA’s CO2 Endangerment Finding, it too is invalidated by these research findings. This means that EPA’s 2009 claim that CO2 is a pollutant has been decisively invalidated by this research. In this era of ever-improving technology and data systems, one would assume that measurements would be constantly improving. This is not the case with the global observing network. The world’s surface observing network had reached its golden era in the 1960s to 1980s, with more than 6,000 stations providing valuable climate information. The number of weather stations providing data to GHCN plunged in 1990 and again in 2005 (as stations in the oversampled lower 48 states were thinned out). The sample size has fallen by over 75% from its peak in the early 1970s, and is now smaller than at any time since 1919. The collapse in sample size has increased the relative fraction of data coming from airports to 49 percent (up from about 30 percent in the 1970s). It has also reduced the average latitude of source data and removed relatively more high-altitude monitoring sites (McKitrick 2010). We could show many regional or country examples but here is one, Canada. NOAA GHCN used only 35 of the 600 Canadian stations in 2009. Verity Jones plotted the stations from the full network rural, semi-rural and urban for Canada and the northern United States both in 1975 and again in 2009. She also marked with diamonds the stations used in the given year. Notice the good coverage in 1975 and very poor, virtually all in the south in 2009. Notice the lack of station coverage in the higher latitude Canadian region and arctic in 2009. Canadian stations used in annual analyses in 1975 and 2009 (source: Verity Jones from GHCN). Just one thermometer remains in the database for Canada for everything north of the 65th parallel. That station is Eureka, which has been described as “The Garden Spot of the Arctic” thanks to the flora and fauna abundant around the Eureka area, more so than anywhere else in the High Arctic. Winters are frigid but summers are slightly warmer than at other places in the Canadian Arctic. Environment Canada reported in the National Post, that there are 1,400 stations in Canada with 100 north of the Arctic Circle, where GHCN includes just one. After the 1980s, the network suffered not only from a loss of stations but an increase in missing monthly data. To fill in these large holes, data were extrapolated from greater distances away. Forty percent of GHCN v2 stations have at least one missing month, It reached 90% in Africa and South America. According to the World Meteorological Organization’s own criteria, followed by the NOAA’s National Weather Service, temperature sensors should be located on the instrument tower at 1.5 m (5 feet) above the surface of the ground. The tower should be on flat, horizontal ground surrounded by a clear surface, over grass or low vegetation kept less than 4 inches high. The tower should be at least 100 m (110 yards) from tall trees, or artificial heating or reflecting surfaces, such as buildings, concrete surfaces, and parking lots. Very few stations meet these criteria. The modernization of weather stations in the United States replaced many human observers with instruments that initially had warm biases” (HO-83) and later cold biases (MMTS) or were designed for aviation and were not suitable for precise climate trend detection [Automates Surface Observing Systems (ASOS) and the Automated Weather Observing System (AWOS). Note the specifications required a RMSE of 0.8F and max error of 1.9F. ASOS was designed to supply key information for aviation such as ceiling visibility, wind, indications of thunder and icing. They were not designed for assessing climate. Also, the new instrumentation was increasingly installed on unsuitable sites that did not meet the WMO’s criteria. During recent decades there has been a migration away from old instruments read by trained observers. These instruments were generally in shelters that were properly located over grassy surfaces and away from obstacles to ventilation and heat sources. Today we have many more automated sensors (The MMTS) located on poles cabled to the electronic display in the observer’s home or office or at airports near the runway where the primary mission is aviation safety. The installers of the MMTS instruments were often equipped with nothing more than a shovel. They were on a tight schedule and with little budget. They often encountered paved driveways or roads between the old sites and the buildings. They were in many cases forced to settle for installing the instruments close to the buildings, violating the government specifications in this or other ways. Pielke and Davey (2005) found a majority of stations, including climate stations in eastern Colorado, did not meet WMO requirements for proper siting. They extensively documented poor siting and land-use change issues in numerous peer-reviewed papers, many summarized in the landmark paper “Unresolved issues with the assessment of multi-decadal global land surface temperature trends (2007). In a volunteer survey project, Anthony Watts and his more than 650 volunteers at http://www.surfacestations.org found that over 900 of the first 1,067 stations surveyed in the 1,221 station U.S. climate network did not come close to the Climate Reference Network (CRN) criteria. 90% were sited in ways that result in errors exceeding 1C according to the CRN handbook. Only about 3% met the ideal specification for siting. They found stations located next to the exhaust fans of air conditioning units, surrounded by asphalt parking lots and roads, on blistering-hot rooftops, and near sidewalks and buildings that absorb and radiate heat. They found 68 stations located at wastewater treatment plants, where the process of waste digestion causes temperatures to be higher than in surrounding areas. In fact, they found that 90% of the stations fail to meet the National Weather Service’s own siting requirements that stations must be 30 m (about 100 feet) or more away from an artificial heating or reflecting source. The average warm bias for inappropriately-sited stations exceeded 1C using the National Weather Service’s own criteria, with which the vast majority of stations did not comply. In 2008, Joe D’Aleo asked NOAA’s Tom Karl about the problems with siting and about the plans for a higher quality Climate Reference Network (CRN at that time called NERON). Karl said he had presented a case for a more complete CRN network to NOAA but NOAA said it was unnecessary because they had invested in the more accurate satellite monitoring. The Climate Reference Network was capped at 114 stations and would not provide meaningful trend assessment for about 10 years. In monthly press releases no satellite measurements are ever mentioned, although NOAA claimed that was the future of observations. The biggest issue though to accurate measurement is urbanization. Bad siting usually enhances the warming effect. Weather data from cities as collected by meteorological stations are indisputably contaminated by urban heat-island bias and land-use changes. This contamination has to be removed or adjusted for in order to accurately identify true background climatic changes or trends. In cities, vertical walls, steel and concrete absorb the sun’s heat and are slow to cool at night. In surrounding suburban areas (often where airports are located), commercialization and increased population densities increase the temperatures at night relative to the surrounding rural areas. More and more of the world is urbanized (population increased from 1.5 B in 1900 to over 7.1 billion today. The EPA depicts the typical temperature distribution from city center to rural, similar to the observed minimum temperature analysis surrounding London in mid May (about a 10F difference is shown). Oke (1973) found a village with a population of 10 has a warm bias of 0.73C, a village with 100 has a warm bias of 1.46 C, a town with a population of 1000 people has a warm bias of 2.2 C, and a large city with a million people has a warm bias of 4.4C. Zhou et al (2005) have shown global data bases (for China) not properly adjusted for urbanization. Block (2004) showed the same problem exists in central Europe. Hinkel et al (2003) showed even the village of Barrow, Alaska with a population of 4600 has shown a warming of 3.4F in winter over surrounding rural areas, These are but a handful of the dozens of studies documenting the UHI contamination. Most confirm the warming is predominantly at night. During the day when the atmosphere is well mixed, the urban and rural areas are much the same. This analysis by in Critchfield (1983) for urban Vienna and suburban Hohe Warte shows the temperature traces for February and July. Inexplicably, the UHI adjustment Karl argued for was removed in USHCNv2. This is needed when a station is missing data for a month or months. It is accomplished using anomalies. For areas where there are adequate close-by surrounding stations, the assumptions that despite the local temperature differences, most sites will have a similar anomaly (departure from normal) is a reasonable one. But for infilling they can go as far as 1200 km (750miles) away to find data. At longer ranges this become problematic. Take for example northern Canada or the arctic where they must extrapolate over vast distances. This adjustment that blends data for all stations was designed to detect previously undisclosed inhomogeneities (station moves or siting changes) and adjust for urbanization. It may help detect siting discontinuities but is not an adequate substitute for UHI adjustment. The rural stations if properly sited and the Climate Reference network of stations should be reference to adjust the urban stations. Instead through homogenization the rural areas are contaminated by urban stations, Dr. Edward Long from NASA examined a set of rural and urban stations in the lower 48 states both raw and adjusted. After adjustment, the rural warming rates increased 5 fold while urban warming rates were only slightly reduced. This augmented not eliminated UHI contamination. The other data set that presents a challenge for a precise assessment of global average surface temperature (GAST) is world’s oceans, which cover 71% of the globe. Major questions persist about how much and when to adjust for changing coverage and measurement techniques from buckets to ship intake, to moored and drifting buoys, satellite skin temperature measurements and now ARGO diving buoys. ARGO network of 3341 diving buoys and floats introduced in 2003 should improve the assessment going forward though NOAA chose instead to adjust them warmer based on the fact that ship intake data was typically warmer than the buoys. For more see here and here. These analysis results would appear to leave very, very little doubt but that EPA’s claim of a Tropical Hot Spot (THS), caused by rising atmospheric CO2 levels, simply does not exist in the real world. Also critically important, even on an all-other-things-equal basis, this analysis failed to find that the steadily rising Atmospheric CO2 Concentrations have had a statistically significant impact on any of the 13 critically important temperature time series data analyzed.